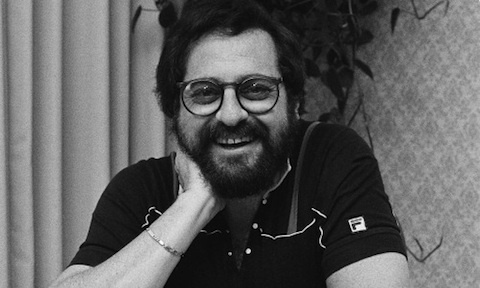 Music producer Phil Ramone died 30 March 2013 at the age of 79. The cause was a brain aneurysm. Phil Ramone was born 5 January 1934 in South Africa. His family moved to Brooklyn, New York, where he grew up. He was a music prodigy as a child, learning violin when he was only three years old. As a child he listened to music by Charlie Parker and Count Basie. While he was interested in popular music, he also studied classical music. He studied for a time at Juilliard School in New York before he started his music career. He started his career as a songwriter in the legendary Brill Building. Afterwards he took a job as an engineer at JAC Recording in New York. It was in 1958 that Phil Ramone and Jack Arnold opened A&R Recording in Manhattan, New York City. As an engineer there he worked with such names as John Coltrane and Quincy Jones. He won his first Grammy in 1964 for his work on tan Getz and Joao Gilberto’s album Getz/Gilberto. As the Sixties progressed he moved more towards the fields of pop, rhythm and blues, and rock, working with such artists as Leslie Gore (including her hit single "It's My Party"), Dusty Springfield ("The Look of Love"), Procol Harum ("Whiter Shade of Pale"), and The Band (their self titled second album). He also reportedly recorded Marilyn Monroe's infamous version of "Happy Birthday" sung to President John F. Kennedy. The Seventies saw Mr. Ramone work with such artists as Sir Paul McCartney, Elton John, The Band, Paul Simon, Bob Dylan, Judy Collins, Art Garfunkel, and Billy Joel. In 1980 he produced the music for Paul Simon's film One Trick Pony. It was Phil Ramone who was responsible for an innovation on the film (the first time it was ever done), optical surround sound. In the Eighties he worked with such artists as Simon & Garfunkel, Billy Joel, Diane Keaton, Frank Sinatra, Julian Lennon, Carly Simon, Lou Reed, Cyndi Lauper, and Paul McCartney. It was on 1 October 1982 that A & R Recording released Billy Joel's 52nd Street, in Japan. In the Nineties Phil Ramone worked with such artists as Les Paul, Ringo Starr, Sinead O'Connor, Frank Sinatra, Laura Brannigan, Brian Setzer, Natalie Cole, Tony Bennett, Aretha Franklin, Linda Ronstadt, and Paul Simon. In the Naughts and the Teens he worked with such artists as Elton John, Liza Minelli, Tony Bennett, Rod Stewart, Bono, Ray Charles, Olivia Newton John, and Elaine Page. Phil Ramone may not have been as well known to the general public as other music producers, there can be no doubt that he is one of the all time greats. He worked on such iconic songs as Leslie Gore's "It's My Party," Procol Harum's "Whiter Shade of Pale," Dusty Springfield's "The Look of Love," and many others. In addition, he also made important innovations. He introduced optical surround sound in film, and it was A&R Recording who released the very first commercial CD. Throughout his career he made some very important contributions in the field of music, to the point that he really should have been better known. I worked with him on a couple of benefit events. A true gent. With all the famous people he knew, being as famous as he was, he always took my phone calls.